Click on the banner above to go to the Bill Clinton homepage at the University of Virginia's Miller Center. 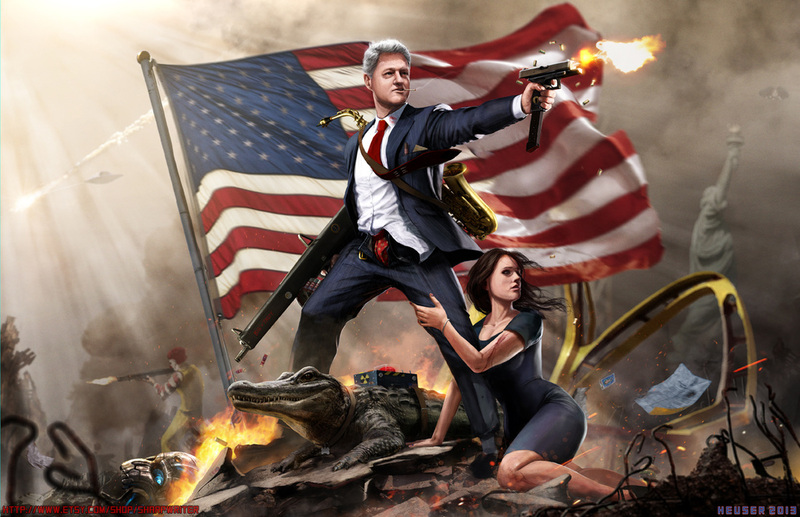 Click on the buttons below for in-depth information about Clinton's Presidency. 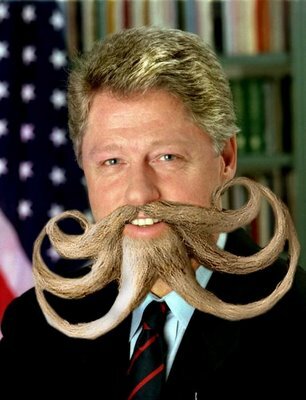 At birth, Clinton's name was William Jefferson Blythe III. 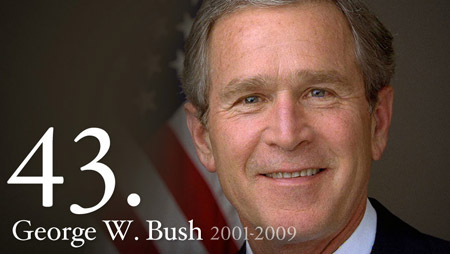 He was named for his biological father, who died in a car accident three months before Clinton was born. 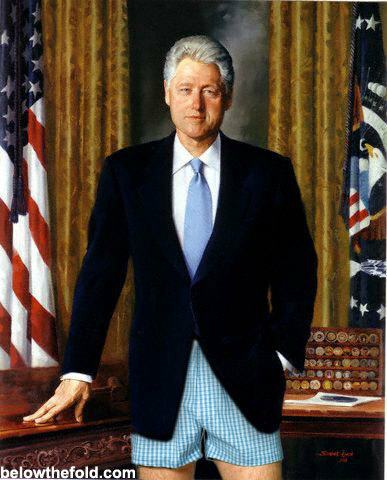 Clinton's mother later remarried, and he eventually took his stepfather's last name "Clinton". In high school, Bill played the Saxophone as part of a jazz trio called "Three Blind Mice." Clinton met President JFK in the White House Rose Garden when he was in high school. In 1992, Clinton ran for President against six other contenders, including the popular California Governor, Jerry Brown. Despite a slow start in the primaries, Clinton began attracting attention late in the primary season and ended up winning the Democratic Party's nomination. 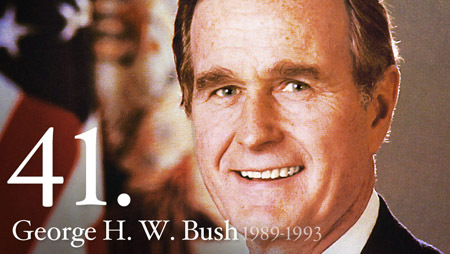 In the Election of 1992, he faced the Republican President George H. W. Bush, who had seen his popularity during the Gulf War evaporate under a broken pledge not to raise taxes and a weak economy. Clinton campaigned under the motto of his strategist James "The Ragin' Cajun" Carville: "It's the Economy, Stupid!" 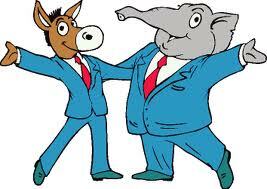 In addition to this, the Republican ticket was largely split by a major third party run from Texas billionaire Ross Perot. 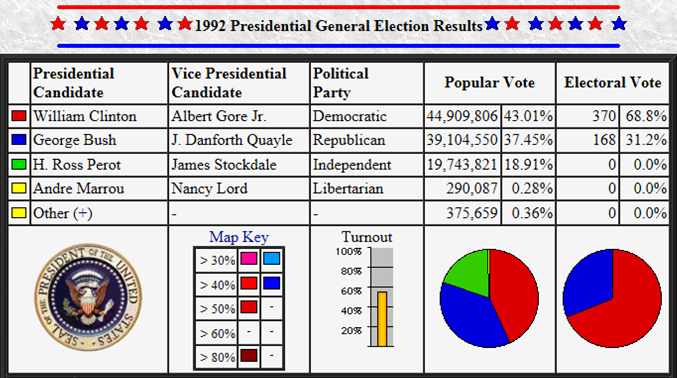 Perot ended up winning 18.9% of the Popular Vote, most of which were former Bush supporters. As a result, Clinton won with 43% of the Popular Vote, the lowest total for a winning candidate since Woodrow Wilson won with 41.8% in 1912, and the second lowest since 1860 when Abraham Lincoln won with a paltry 39.8%. Despite legislative success and a booming economy, the last few years of Clinton's Presidency were marred by the revelation of an affair with a White House intern named Monica Lewinsky. While the affair was frowned upon by the public, what got Clinton into trouble was lying under oath when asked about it. (Yea, that whole "swear to tell the truth, the whole truth, and nothing but the truth, so help me God" thing gets in the way every time...) This led to his impeachment by the House of Representatives on December 19, 1998, the first such action taken by the U.S. House since the impeachment of President Andrew Johnson. On February 12, 1999, the Senate voted on whether or not to remove Clinton from office. Despite having a Republican majority, the Senate acquitted him of the charges. (The Senate needed 67 "guilty" votes - or two-thirds - on either of the two charges to remove Clinton. The vote for Article 1: Perjury was 45 "guilty" to 55 "not guilty". The vote for Article II: Obstruction of Justice was 50 "guilty" and 50 "not guilty".) 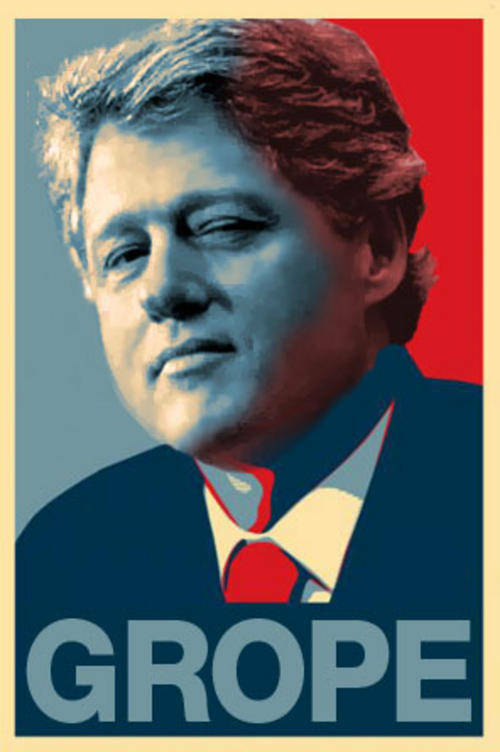 Technically, Clinton holds the dubious distinction of being the first elected President to be impeached since Johnson took over following the assassination of Abraham Lincoln. 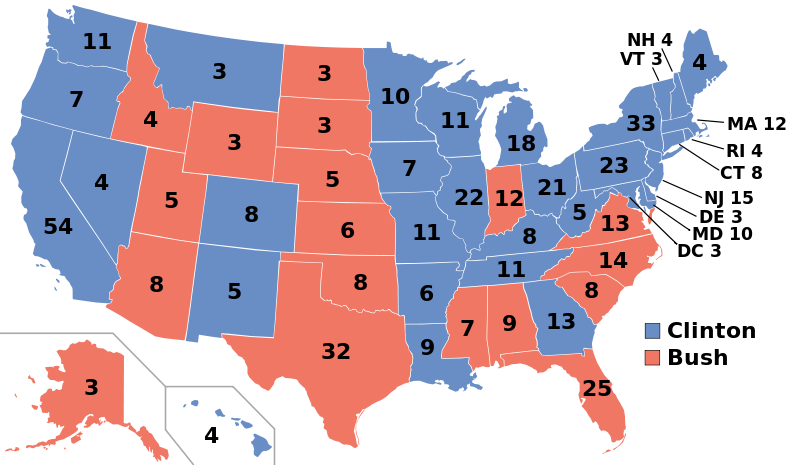 Clinton was the first Democratic President to win a second term since FDR did it following the Election of 1936. 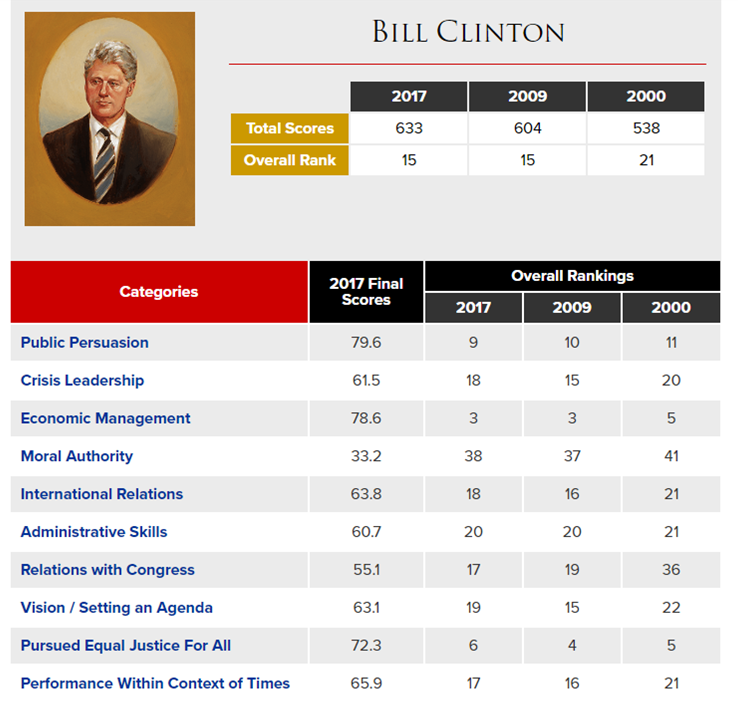 Unlike most Presidents, whose approval ratings tend to drop over time and particularly during their second term, Clinton's actually improved significantly during his second term. He left the White House with an approval rating of 66%, the highest for any President after leaving office. (Ronald Reagan and JFK are tied for the second highest after-office approval rating; both were notched at 63%.) Clinton's peak approval rating, roughly 75%, ironically came right in the middle of the impeachment proceedings against him! All Presidents have the power to issue pardons, which is the forgiveness of a crime and the cancellation of the relevant penalty. (The most famous was President Ford's pardoning of Nixon following Nixon's resignation during the Watergate Scandal.) FDR granted the most... a jaw dropping 3,687 pardons. William H. Harrison and James Garfield didn't hand any out. Clinton handed out a total of 456 pardons but holds the record for the most in one day. On Clinton's last day as President, he pardoned 140 people. Clinton nominated Ruth Bader Ginsberg to the U.S. Supreme Court. On August 10, 1993, she became the second woman to serve on the U.S. Supreme Court and the first Jewish female justice. She is still serving on the Supreme Court today. Clinton's first foray into politics occurred in 1972 when he helped coordinate the Dallas office of Democrat George McGovern's Presidential bid. (McGovern later lost in a landslide to Richard Nixon.) While working on the McGovern campaign, however, Clinton met Steven Spielberg, who was, at the time, a little-known TV director. The two have remained friends since. Clinton was left-handed. (There have only been six "south paws" to serve in the Oval Office. Obama is the sixth left-handed President.) That being said, in the Election of 1992, all three major candidates – George H. W. Bush, Clinton, and Ross Perot – were left-handed. The Election of 1996 also involved three left-handed candidates: Clinton, Perot, and Bob Dole, who learned to use his left hand after his right hand was paralyzed by a World War II injury. On October 21, 1994, just as the World Wide Wide was in its infancy, the Clinton Administration launched the first White House website. What can I say? 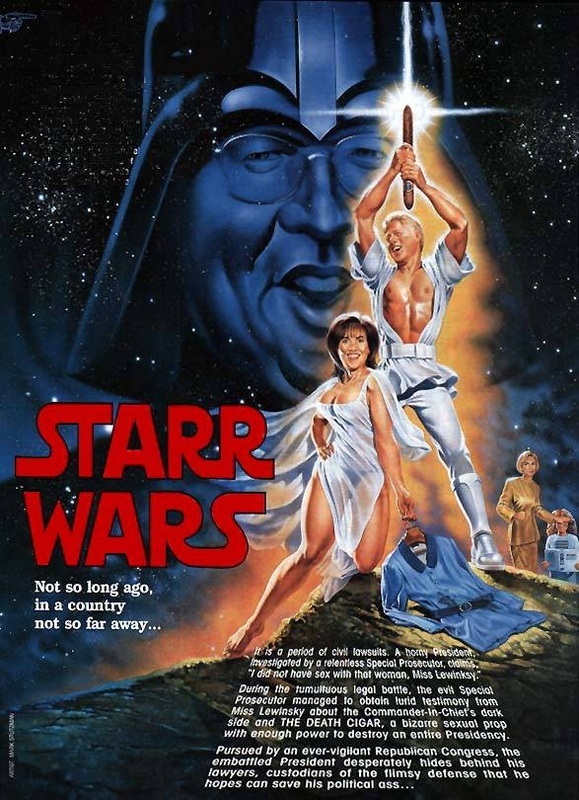 The guy was an economic genius... and handy with a weapon.